Let me start this part of the article with a question. The Lord Jesus Christ had 12 closest disciples, of which one of them, Judas Iscariot, betrayed the Lord and then committed suicide. Later on, the remaining 11 disciples, with one more selected to replace Judas Iscariot, became the famous 12 apostles of the Lord Jesus Christ, who went to various places to spread the gospel. However, out of these 12 apostles, the tombs of only 3 of them have churches or cathedrals built over them, thus making these churches famous sites for religious pilgrimage. Where would you expect these churches to be in the whole world? 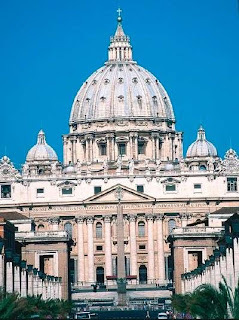 The first is Saint Peter’s Basilica in the Vatican City, within the confines of Rome, Italy. This cathedral is built over the tomb of Apostle Simon Peter, as its name suggests. 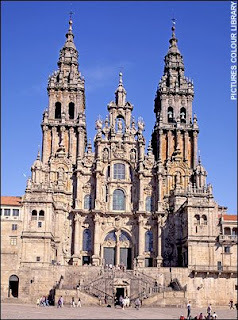 The second is the Cathedral of Santiago de Compostela in Galicia, Spain. This cathedral is built over the tomb of Apostle James son of Zebedee. Now, where do you think the third church is? In Europe? In Russia? In the Middle East? In North Africa? I just have the feeling that some of you reading this might think so. Perhaps most of you might think that it’s somewhere in Europe or Russia. Did I guess correctly? Well, if that’s what you thought, then IT’S ABSOLUTELY WRONG! Little do many know that the third church, which is built over the tomb of Apostle Thomas, is the San Thome Basilica (Tamil: சாந்தோம் பசிலிக்கா) in CHENNAI, TAMIL NADU, INDIA. Did some of you know that? 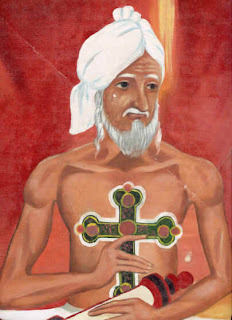 Before this, I have written about Apostle Thomas’ activities of spreading Christianity in the Malabar Coast and throughout what is known today as Kerala in South India, as narrated in Indian church traditions in the form of songs and poetic literary works such as the Ramban Songs or Thomma Parvom. Apostle Thomas’ tireless efforts in spreading Christianity throughout the Malabar Coast bore great results, as many Malayalee Indians in various towns, ports and cities in the Malabar Coast during first century accepted the gospel. 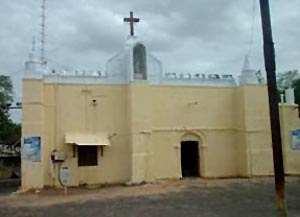 Churches were established by the apostle to serve as places of worship and gathering for the various Indian Christian communities in those towns and cities. For some time, Apostle Thomas remained in these towns and cities in the Malabar Coast, teaching and sharing the message of the gospel to the new Indian Christian communities there. Christianity made such a big impact in the lives of the people there that even those who heard the gospel but chose to remain as Hindus incorporated elements from the gospel and the activities of Apostle Thomas in their religious traditions, songs, dances and family history. 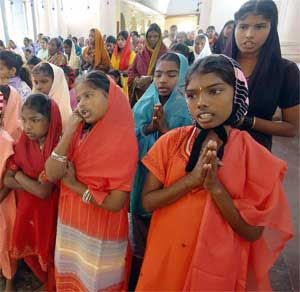 Until now, Kerala is one of the states in India which has a large Christian population. 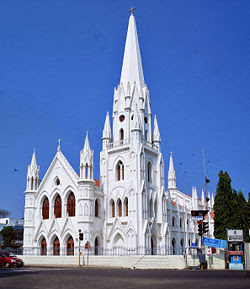 One can also see lots of churches throughout Kerala which bear great historical meaning. After gaining great success in spreading Christianity in the Malabar Coast, Apostle Thomas then proceeded to the eastern side of South India, towards the Coromandel Coast (Tamil: கோரமண்டல் கரை, Kōramandal Karai), which is within the state of Tamil Nadu (Tamil: தமிழ் நாடு). Apostle Thomas was accompanied by Prince Kepha and Thomas Maliyakal for a distance before he went on his own way. 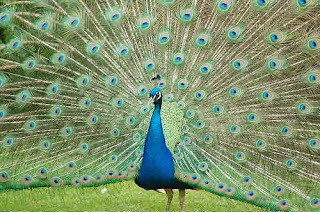 Toiling across thick jungles and mountainous regions for some time, Apostle Thomas finally arrived at the ancient “Town of Peacocks”, that is Mylapore (Tamil: மயிலாப்பூர், Mayilāppur), which is presently within the city of Chennai (Madras) (Tamil: சென்னை), the capital of the state of Tamil Nadu in South India. 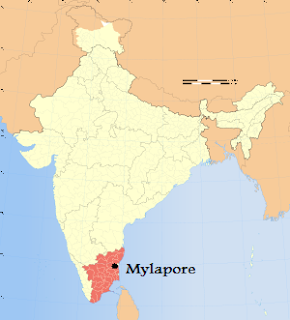 Mylapore is presently a part of the city of Chennai (formerly Madras) in the state of Tamil Nadu, India. It is one of the oldest settlements and residential area in the entire city. The name “Mylapore” is derived from the Tamil word “mayil”, which means “peacock.” Hence, Mylapore is frequently referred to as the “Ancient Town of Peacocks.” According to popular folklore, Mylapore was named such because the Hindu goddess Parvati was said to have done penance by assuming the form of a peacock and as such remaining close to the Hindu god Shiva. Just as Kerala is predominantly populated by Indians of the Malayalee sub-ethnic who speak the Malayalam language, Tamil Nadu is mainly populated by Indians of the Tamil sub-ethnic who speak the Tamil language. After his arrival in Mylapore, Apostle Thomas started spreading the gospel to all the people there as well. His preaching drew large crowds in Mylapore, and many Tamil Indians also accepted the gospel and Christianity there. 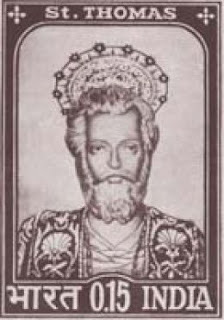 In fact, due to his popularity and success in preaching and spreading Christianity in Mylapore, the local Tamil king in Mylapore, King Mahadevan, favoured the apostle greatly. Apostle Thomas was also said to have appointed Paul Sitaraman, one of the new Tamil converts to Christianity in Mylapore, as high priest in charge of the new Tamil Christian community there. There is a legend in church tradition that states that there was once a very large log of wood that was washed ashore in a place near Mylapore, in which this place is now known as Santhome (Tamil: சாந்தோம்). This large log of wood was an obstruction to the local people there and they wanted to remove it. As such, King Mahadevan ordered his subordinates to use elephants to pull the log away. However, even those elephants were unable to move the log away successfully. Apostle Thomas then told King Mahadevan that if he could succeed in removing the large log, he wanted nothing but the log itself as a reward. So, he then tied his girdle (a kind of belt worn around the waist) onto the large log and pulled the log away with ease. All who saw it, including the king, were amazed at this miracle that King Mahadevan willingly granted Apostle Thomas’ request and gave the latter the large log. The apostle then used the log to build a small chapel in the area to serve as a place of worship for the new local Tamil Christian community. Apostle Thomas’ preaching and teaching drew extremely large crowds in Mylapore that even aroused the jealousy and uneasiness of some of King Mahadevan’s ministers and priests. Many times they attempted to kill the apostle because they saw him as a threat to the local community in Mylapore. Whenever they tried to seize and kill him, Apostle Thomas would take refuge in the jungles of a nearby hill called Little Mount, which is known as Cinnamalai (Tamil: சின்ன மலை) in Tamil. He frequently came to this hill in order to pray and to preach to the crowds. It is said that on one occasion, when he preached to a large crowd on the hill, the crowd became very thirsty and had no water. Apostle Thomas thus knelt down to pray, and then he took his stick and struck a rock with it. Water immediately gushed out of the rock and enabled the large crowd to quench their thirst. According to church tradition, when King Mahadevan’s soldiers and subordinates came to kill him, he would enter a small cave in the hill to seek protection. When the soldiers came to the entrance of the cave, Apostle Thomas would then place his hand on a large rock on the opposite side of the entrance. Each time he did this, the rock would miraculously open like a sliding door to reveal a small tunnel for him to escape. It is said that until now, his handprints can be seen on the rock in the cave in Little Mount. 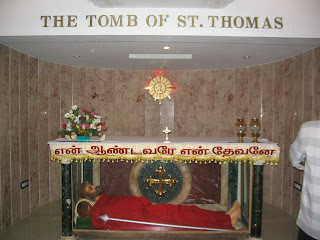 The small tunnel that enabled Apostle Thomas to escape would lead him to another nearby mountain called Saint Thomas Mount, also known as Parangi Malai (Tamil: பரங்கி மலை) in Tamil. After many years of spreading Christianity and teaching the new Tamil Christian community in Mylapore, Apostle Thomas was eventually martyred on this mountain. Church traditions state that on one occasion, King Mahadevan was successfully instigated by his ministers who hated Apostle Thomas very much, despite the fact that the king favoured the apostle. So, when the king was instigated, he sent some soldiers and ministers to go after the apostle so as to kill him. Parangi Malai (Mount Parangi / Saint Thomas Mount) was a place frequented by the apostle to pray, whereby he carved a cross with stone and used it for his prayers. On a particular day, while Apostle Thomas went up Parangi Malai to pray, he was followed stealthily by a person hired by King Mahadevan’s ministers to kill the apostle. When Apostle Thomas went up the mountain, kneeled down before the stone cross that he carved and prayed, the person who followed him raised his lance and pierced the apostle’s body with the lance from behind. The apostle was said to have clung onto the stone cross while he bled, staining the cross with his own blood. Hence, in the year 72 A.D., Apostle Thomas was killed and martyred on Parangi Malai. His body was then taken to the small chapel that he built in Santhome and buried there. Nevertheless, the Tamil Christian community in Mylapore continued to flourish shortly after the apostle’s death and remained over the centuries, though it slowly reduced in numbers and hardly expanded much beyond the community itself after the apostle’s martyrdom. The Santhome Basilica in Santhome, Chennai, India was subsequently built over the tomb of Apostle Thomas. This site has become a famous site for pilgrimage amongst Indian Christians and a popular tourist destination as well, where one can see the tomb of the apostle in an underground chapel specially constructed for this purpose. 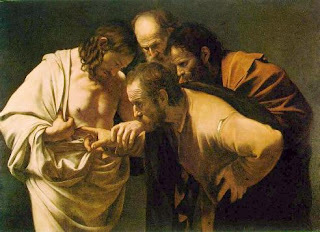 Most of the information on Apostle Thomas’ works in Gandhara, the Malabar Coast (Kerala) and Tamil Nadu are derived from church traditions, legends, folklores and The Acts of Judas Thomas the Apostle, which is said to be an unreliable source by some scholars. 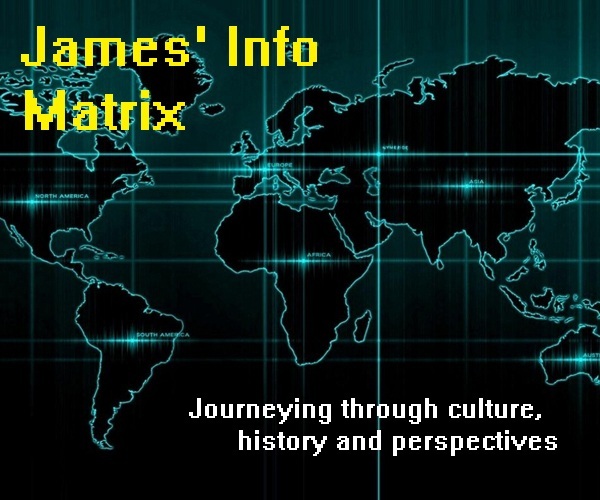 Whether or not some of the information from these sources are actually true or not has become a hot topic of debate for many church scholars and historians. However, one thing is for sure, and this fact is also supported by evidences from writings by early church scholars, that Apostle Thomas was the first to have brought Christianity and the gospel of the Lord Jesus into the land of India.